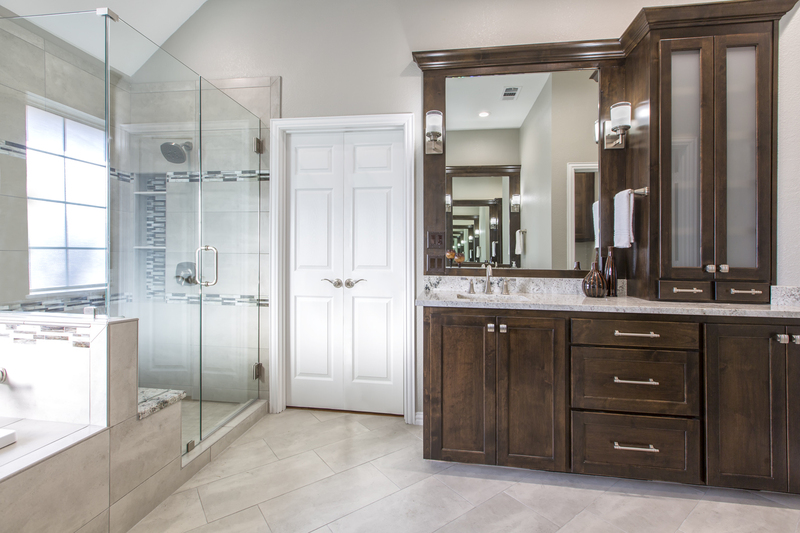 This month’s project spotlight is on our recently completed 1990’s master bathroom remodel in North Richland Hills. The original bathroom was very dated (we’re talking pink wallpaper!) and was way past due for a refresh. 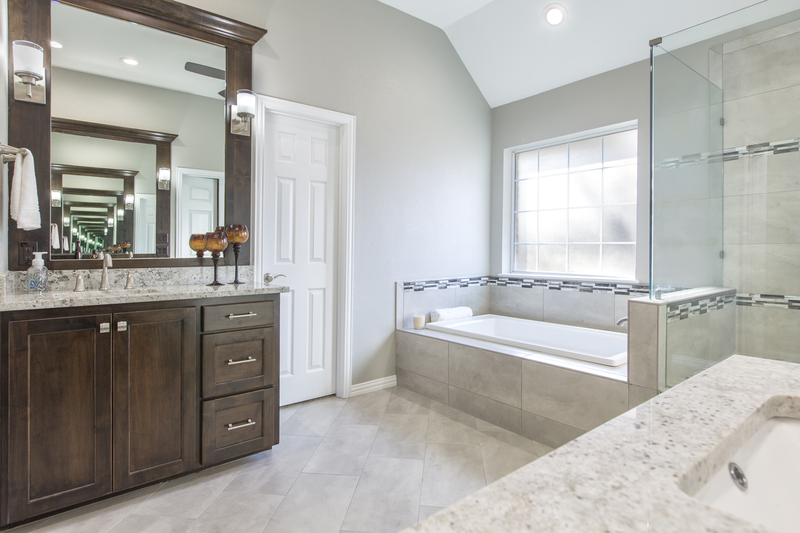 The updated design includes custom vanities, a frameless glass shower, a 60″ drop-in soaker tub, LED can lighting, and more! Check out the blog for the full details of this beautiful remodel! Check out our most recent master bath remodel, now on the blog! The design of your kitchen cabinets can make or break your kitchen remodel! 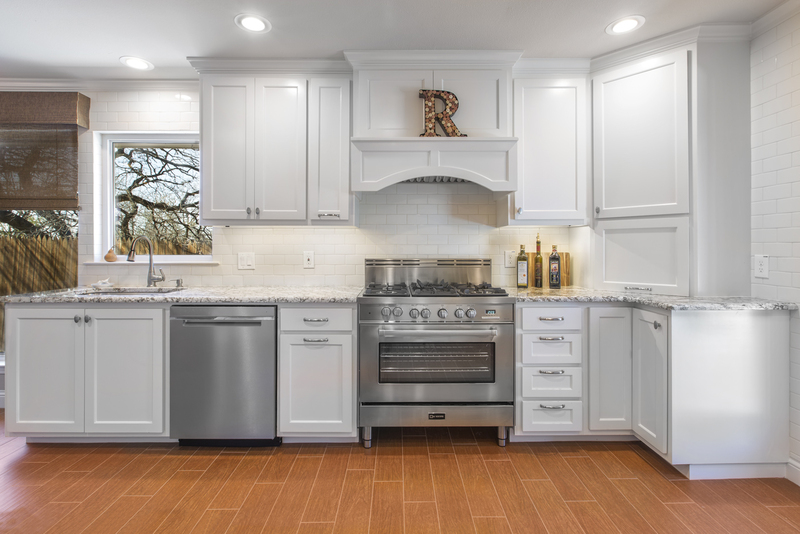 Here are 5 tips to remember when updating your cabinetry. Hardwoods or luxury vinyl plank — which is the better option for your new flooring? What are the signs of rotting exterior trim? What materials are best for replacing rotten wood handrails? Here is some helpful insight from Mike’s Guys. 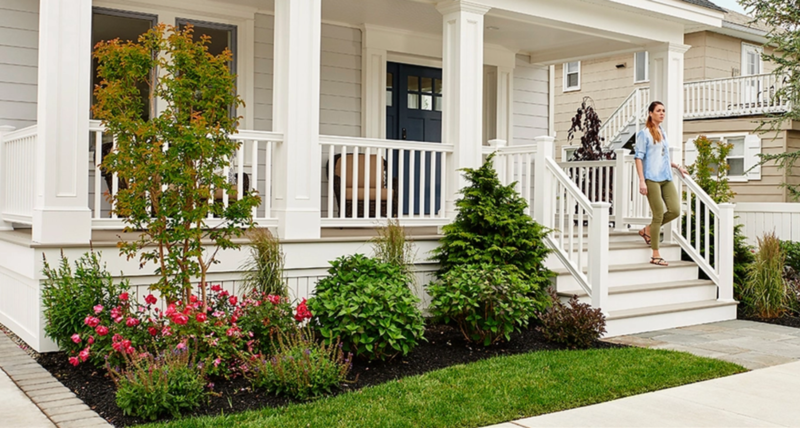 Our monthly newsletter is an easy, FREE way to stay current with home remodeling trends, get advice and inspiration, and of course, keep up with what’s going on at Medford Remodeling! Upon signing up, you’ll get your own copy sent to your inbox the second Saturday of every month; complete with helpful home maintenance tips, upcoming community events, and progress blogs on our most recent remodeling jobs! Sign up in the left column of our Facebook page, or at the bottom of our blog page, here!